Some of the benefits might sound too good to be true, but the effects of infrared sauna use have been supported by scientists for years. During the experience, infrared heat and light is used to warm our skin and body, which raises the bodies temperature and causes sweating faster than a traditional sauna or spa session may. Therapy using infrared sauna treatment has a long list of proven benefits for everyone. Are you having trouble losing weight? An average infrared sauna session burns more calories per sixty minutes than an hour spent cycling, jogging or playing tennis! Feeling a little stressed out? Dr. Lawrence Wilson says that infrared sauna therapy is an effective way to reduce symptoms of anxiety and depression! Do you need a detox, lower blood pressure, help dealing with body pain or fighting cancer, or maybe you just want to improve your general health and wellness? 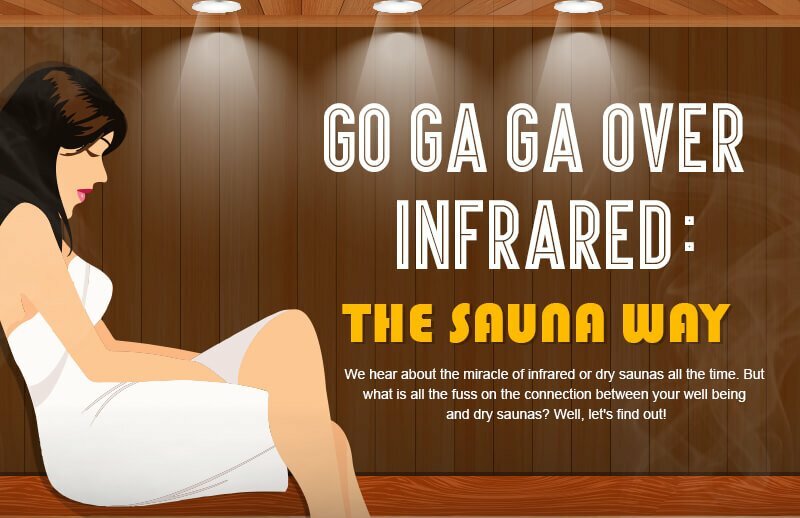 Then infrared saunas are for you, and if you’re not convinced yet, then we made this infographic that should help persuade you. Our outdoor saunas have been particularly popular recently, so check them out if this has you in the mood to try a sauna for yourself!